Summer has arrived and seems to stay for a bit. 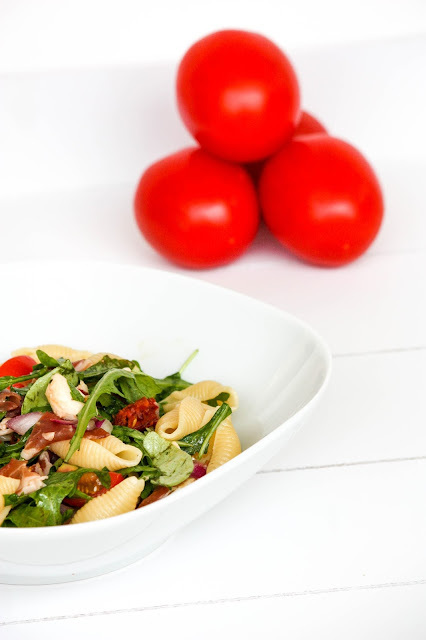 Summertime is Picnic-time and in this spirit I prepared an Italian pasta salad last Saturday. I love picnicking. 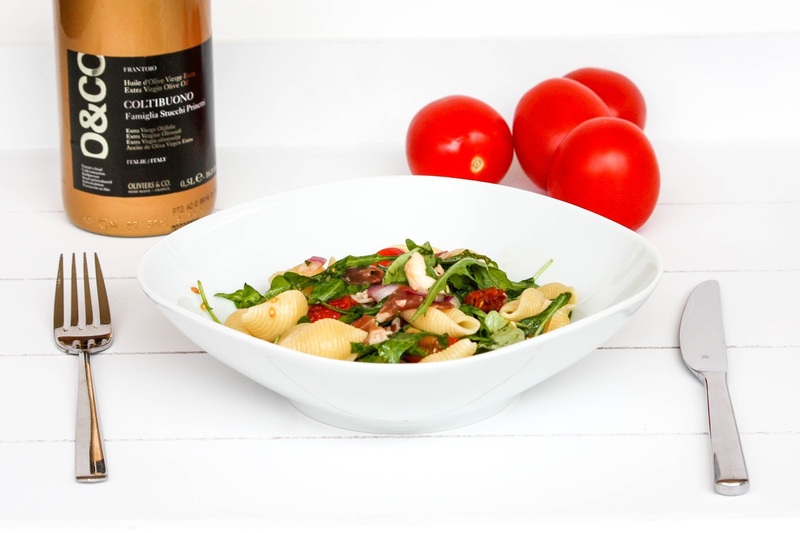 Last weekend, when we organised an excursion to the north of the country - and yes, even in a tiny country like Luxembourg we plan our excursions to the north of the country - I had this pasta salad in mind I ate around 5 years ago. This seems to happen to me more and more. I feel like getting old. Every time I have an idea, I have childhood or teenage memories coming along, and then I think - well you're not that old. Back to the pasta salad. 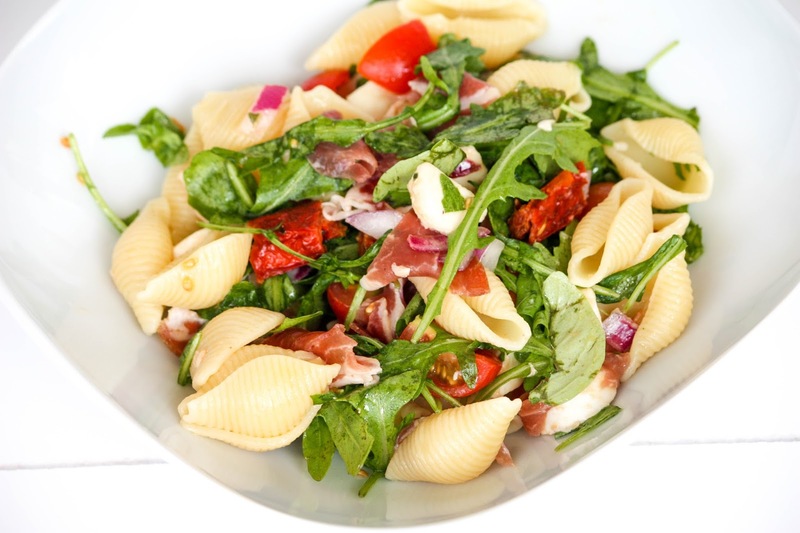 I was once invited to a barbecue party, and someone, I don't even remember who, prepared that brilliant Italian pasta salad. What I most remember was the combination of dried tomatoes, basil and mozzarella and of course the coppa. Usually I am a huge fan of salad dressings, but for this salad, I preferred to only use best quality olive oil. I always have a good bottle of olive oil in my cupboard. Sometimes I would just dip my fresh baguette into some olive oil and enjoy it as one served me a delicious meal. With some of my friends we are currently planning another picnic session in the upcoming weeks. My decision has already been taken. I will bring the pasta salad. Even if most of my friends will rather expect me to bring a nice desert, my preference is definitely lying in bringing this salad. I hope this won't be too much of a disappointment. Well, from our side, my lovely kitchen assistant and myself were happy about the result but we were not the only ones. I mean I am usually preparing things that I like, but it's difficult to judge if it's a real success. So I always seek feedback. This time, I offered 4 portions to my parents and after having a first try, my mother invited the neighbors over for lunch. According to their comments, they would like to be invited again, for the same salad. I think - this is a satisfying statement. Boil the pasta al dente. Wash the cherry tomatoes and cut them into quarters. Peel and cut the onion into little cubes, cut the coppa and the dried tomatoes into thin slices. Then wash the rocket & the basil leaves. Once your pasta is al dente, let it cool down. If you want to fasten the process just pour cold water on it. Now you can add all the ingredients into a large bowl. Add the 4 tbsp of olive oil and add the shavings of the Parmesan cheese. Add salt and pepper according to your needs. 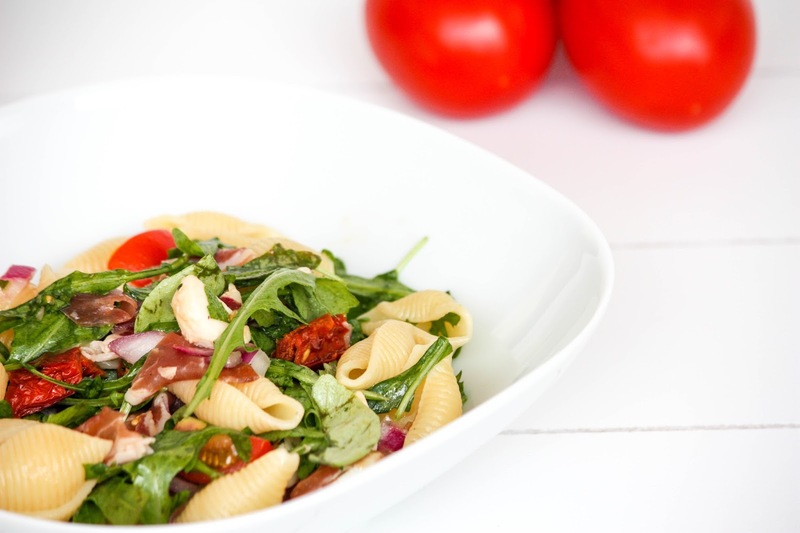 Your Pasta salad is looking very tempting.